I grew up in a (very) small town: no gas station, no traffic lights, no restaurants (until they built that fancy three unit strip plaza! ), one post office, one general store and about 10 hair salons where every woman in town thought they could cut hair. My childhood was spent riding bicycles, ATVs, dirt bikes and snowmobiles; playing hide and seek with the neighbourhood kids; and fishing the rivers in the spring (rainbow trout) and fall (salmon), and local ponds for bass and catfish during the summer months. There’s nothing quite like riding your bike home at 13 years old with a couple of salmon over your bullhorns. It was even better when the tails were dragging on the ground. My kids are two and five. Neither of them had ever laid hands on a fishing rod before. So Friday night I grabbed Gavin’s rod and tied a bobber on the end of the line and took him out in the yard. I showed him the basics on casting and let him practice. He caught on very quickly and I had him casting 20-30 feet in no time. Perfect. Saturday morning I prepped the rods at home before we even left the house. I knew we’d be fishing for trout using worms, so I set the lines up accordingly. That way when we got to our destination, all that was left to do was throw on a bobber, hook a worm and let Gavin work his casting magic. We’re incredibly fortunate to own a house in the country. 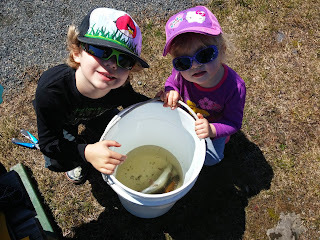 From the time we left our house to the time we dropped bait was 30 minutes. Kids are inherently impatient, so if you can cater to that and reduce wait times, the kids are going to enjoy it more. Don’t plan on driving two hours to get somewhere just because you might catch bigger fish. The kids don’t care (yet). Keep it simple. Let the kids concentrate on learning to fish, rather than worrying about falling out of a boat. Pick a spot where you can cast from land to make life a little easier. Nobody likes going out fishing and getting skunked. 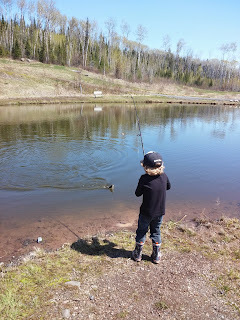 What good is taking a kid fishing if they’re not going to catch anything? If they don’t catch anything, it’s unlikely they’ll enjoy themselves. 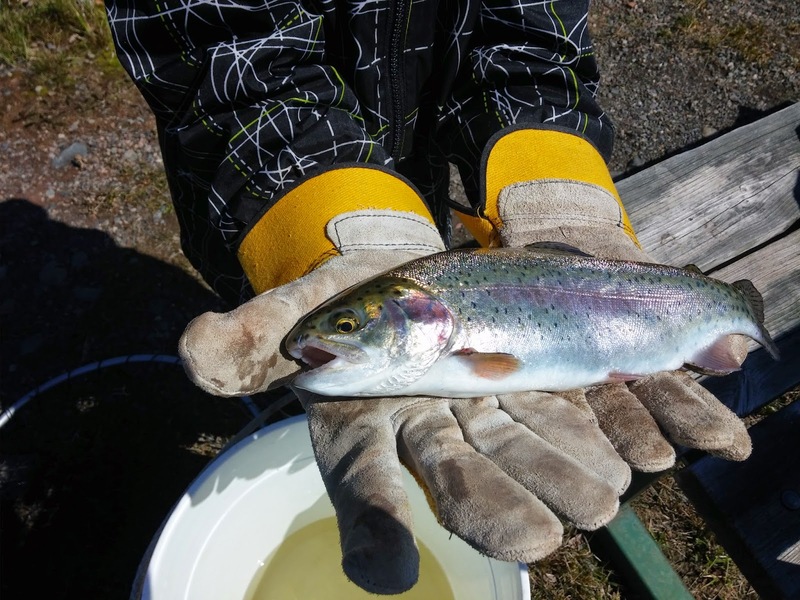 To ensure my kids caught something, I took them to a place not far from home that has ponds stocked full of trout. It doesn't necessarily have to be stocked ponds, but take them someplace that you know you’re going to catch something, anything really. Like I said in point three, the kids don’t care (yet). We kept our lines in the water for about 45 minutes and pulled out two 12” rainbow trout. We checked out and were on our way home. It’s all Gavin talked about all weekend and he can’t wait to do it again. Neither can I.